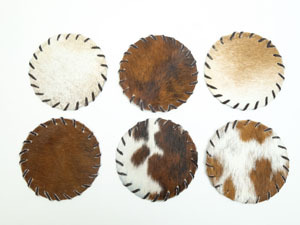 The cow skin drink coasters are made with real cow skins. 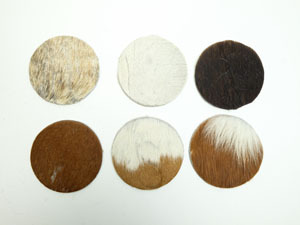 They come in assorted colors and patterns. 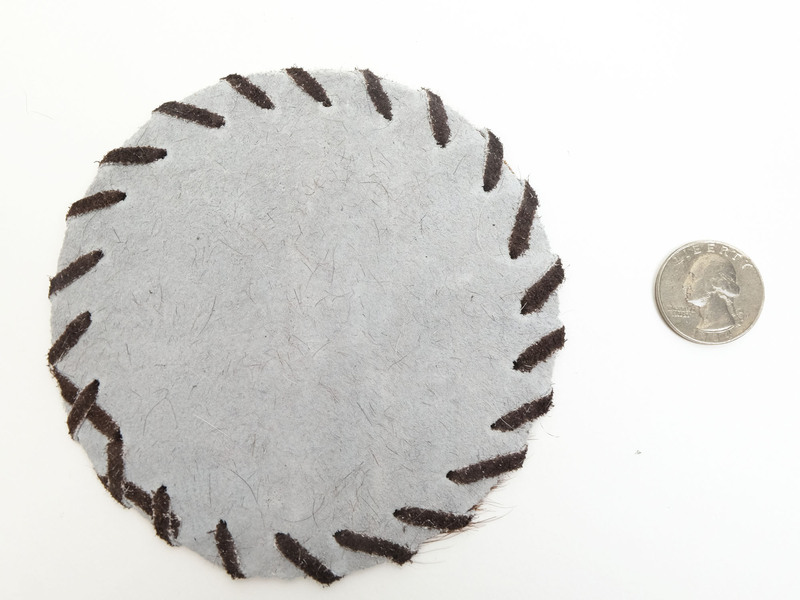 The skin-shaped coasters measure 6" long and 3.5" wide across the middle. 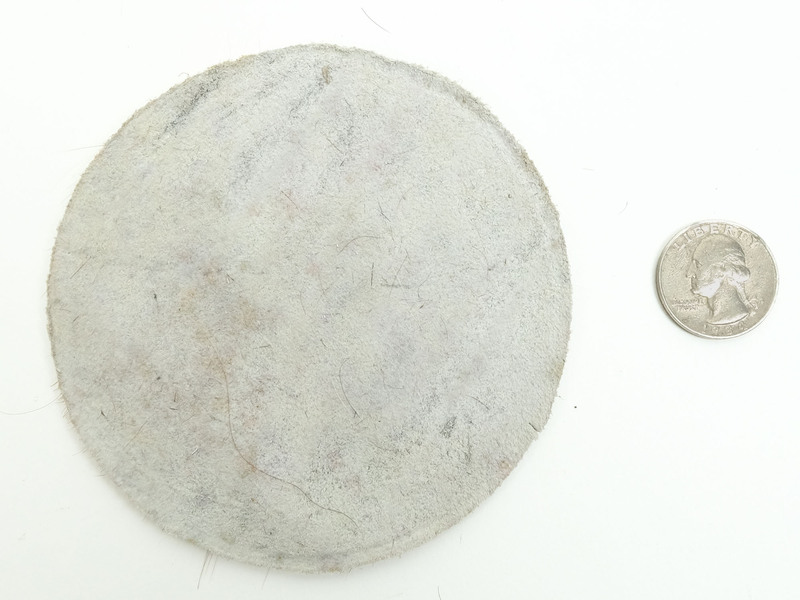 The round coasters are approximately 4" in diameter and weigh 13 grams. The round coasters with black leather lace stitched along the edges are approximately 4.5" in diameter and weigh 15 grams.